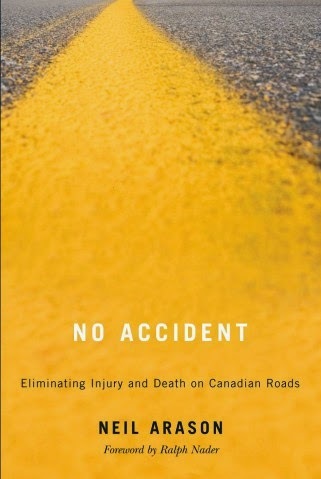 We have been in contact with Peter Burns, Chief, Ergonomics and Crash Avoidance, Transport Canada. Mr. Burns advised us on September 3, 2010, that the preliminary results of the safety review will be presented at the COM meeting on September 30, 2010. "Consistent with the former Minister of Transport's news release, the department has been assessing the safety of extracurricular activity vehicles for student transportation. We have been conducting tests to determine the rollover threshold and braking performance of these vehicles and are assessing available field data and collision investigations. The review is still underway and the preliminary results of our assessments will be presented at the Council of Ministers meeting in Halifax on September 30th." As you may know, we mothers from Bathurst, New Brunswick have been instrumental in raising the profile of the 15 passenger van issue nationally and internationally since the deaths of our sons in the Boys in Red tragedy. Other parents and concerned citizens have also joined us in our quest to improve student transportation safety, including Stella Gurr, a mother from Nanaimo, British Columbia, who lost her son Michael Gurr in a 15 passenger van roll over in September, 2008. With the announcement by the former Minister following so closely on the heels of the introduction of Private Members Bill C-522 by our Member of Parliament, Yvon Godin (Acadie-Bathurst) to ban 15 passenger vans for student use across Canada, we feel it is appropriate that we be allowed to attend the session which will deal with 15 passenger van safety, since it is the death of our sons that led to this safety review. We would also like to distribute an information package to members of the COM which contains up to date information on the issue of 15 passenger vans versus 21 passenger Multi Function Activity Vehicles (MFAVs). You are aware that 15 passenger vans were banned for student transportation in New Brunswick following the Bathurst tragedy, but they had previously been banned by Nova Scotia in 1984. In July 2008, six months after our sons were killed, Quebec also banned the use of these vans for student transportation. 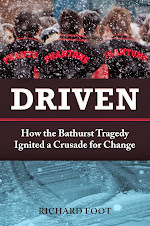 Throughout the rest of the country there is a patchwork of rules and regulations governing student transportation and we feel that the review will show that these vehicles must be permanently banned before there is another Boys in Red tragedy in Canada. If you have any questions about this request, I can be reached by telephone during the work week at 506-546-6370 or by cel at 506-544-0533 after 3 pm New Brunswick time. Thanking you in advance for your cooperation and hoping to receive a reply as soon as possible.